Very soon I will be publishing a Udemy Course on creating Animated Videos using the very popular GoAnimate.com tool. I will teach about the tools to use including the web site itself, the ways to record with a mic and mixer, or an iphone, or just a laptop. This is also indicative of the service we at O4BO.COM offer Ala Carte at $5USD / PHP240 per scene of 45 words or 30 seconds each. This Video would cost you $30 for six scenes. The future is bright for us and for our subscribers. We are getting ready for next week's presentation, here is the Video we plan to show. 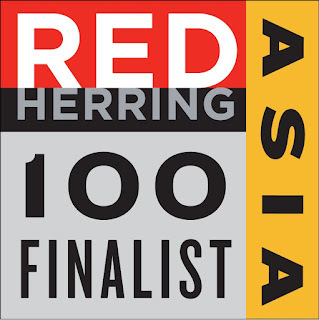 Manila, Philippines - 9/2/2015 – Open 4 Business Online (O4BO.COM) announced today it has been short-listed for Red Herring's Top 100 Asia award, a prestigious list honoring the year’s most promising private technology ventures in Asia. 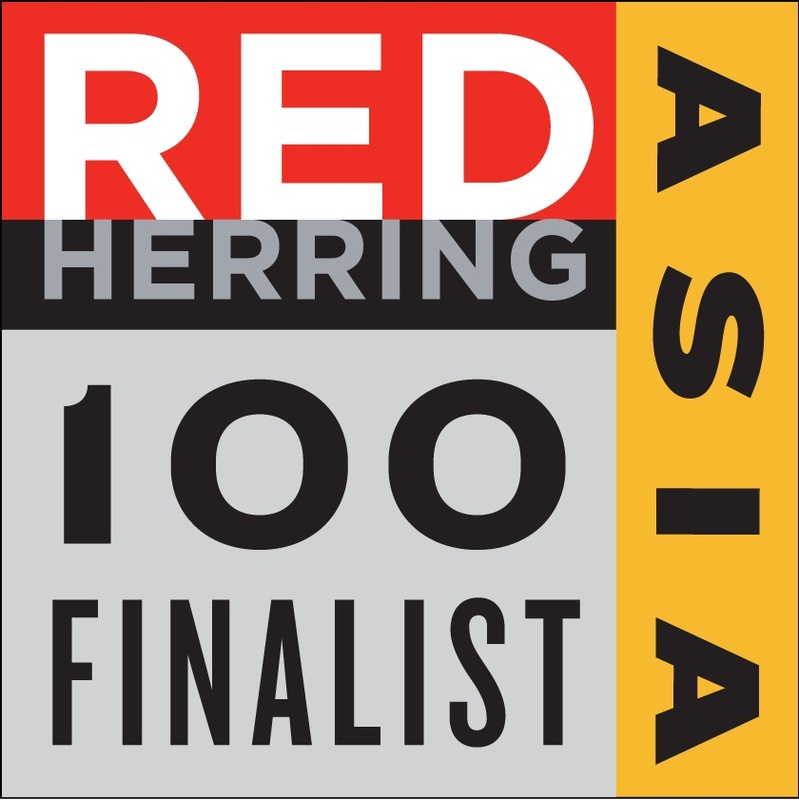 The short-listed companies are asked to present their winning strategies at the Red Herring Asia Forum in Manila, Sept. 14 to 16, 2015 - the final stage of the Top 100 competition. The Top 100 winners will be announced during a special award ceremony the evening of Sept. 16, after the final score is handed out by the judges, thus concluding the three-day event. The Red Herring editorial team selected the most innovative companies from a pool of hundreds from across the continent. We are one of only 6 companies from the Philippines to make the short list of finalists. The nominees are evaluated on both quantitative and qualitative criteria, such as financial performance, technological innovation, quality of management, execution of strategy, and integration into their respective industries. This unique assessment of potential is complemented by a review of company track records and standings, which allows Red Herring to see past the “buzz” and make the list a valuable tool for discovering and advocating for the best business opportunities in the industry. "Entrepreneurship in Asia has reached an inflexion point, and as a result, Red Herring Asia 2015 has shifted into a new phase," said Alex Vieux, publisher and CEO of Red Herring. “A second generation of entrepreneurs with CEO backgrounds is emerging and their execution skills and global ambitions lead to restless growth and amazing journeys. As importantly, we are seeing more companies from countries once absent from innovation circles. Open 4 Business Online shows great promise and therefore deserves to be among the short-listed companies. This is Mike Oliver with the daily vlog 4 Open 4 Business Online. Today I’m gonna go over one of our explorer4 sites. This is explorer4palawan. Palawan is an island chain in the Philippines with some really fantastic scenery and some great businesses and the explorer4palawan site is designed to promote those businesses and to bring software as a service to our subscribers. As you notice here, the explorer4palawan site has pictures of the various sites and tourist attractions in Palawan, also we have a scroller here that are showing some of the subscribers that we have to our business and we promote these businesses directly and indirectly. Directly as you see we have their logo passing by on the site and indirectly, we do Google advertising that will drive people to these sites. We also do Search Engine Optimization and social media posts that drive people to these sites. The Search Engine Optimization will allow people that search for a particular kind business in Palawan to have their listing here listed higher than anybody else on a Google search. As you can see, a good number of subscribers already and when you mouse over one of this and click on particular subscriber then you can look at the information about that subscriber and you can get the information on how to contact them and what their business is. It’s very very useful. So how do you become a subscriber? Well, you see this link here, this is Business Registration and then we have our Store. We click on the Store; we see the matrix of the various products and services that we offer. Scroll up here, the most basic one is free, that is the explorer4 listing, that’s the listing I just showed you and you get that for free. It includes your logo and allows you to be included in searches and so forth. For a little bit more. Two Hundred and Fifty (P250) pesos a month, you can get full page but in addition to that, you get a Bitrix24 subscription that gives you a customer relationship management, project management and even some online storage, so just Two Hundred and Fifty (P250) pesos a month, about Five ($5) dollars, you get a great value, just absolutely a great value. For Five Hundred (P500) pesos a month or about Ten ($10) dollars you get the Listing, the Bitrix24 you get a full page and carousel, you get access to your own personal portal that you can add users to and do collaboration on, you get web content management so that you can actually maintain the page yourself, change the content yourself, web based accounting so you’ll have a full accounting package, web based project management that allows you keep track of various projects you are doing and you get support calls so that we will help you and you can get social media on Twitter and that is just 10 dollars a month. We have packages that go all the way up to Six Thousand (P6000) a month, and at P6000 a month, you get a professional services like creating website content, creating videos, a lot of different things that you can get, many of our customers chose this package because it puts the cost of professional services down with small businessman can afford it. In between, we have packages that include domain names, unlimited emails and just about everything that small business would want. All you have to do to get started is click on the Business Registration link and that will bring up a form that allows you to put your information in and it will automatically go up in the site. You don’t have to put any credit card information; you don’t have to do anything except fill up the form. We even have a demo that shows you how to do it, although it’s as simple as filling in a form. You can also go to the Store and decide which package is you want. As you can see, the form is very simple, it just your contact information, your description, your business name, if you have a website, you can in list it here and we have to link it back from our site to yours. If you have any existing social media accounts, you just provide the information here we will put that into your site. Thank you very much, it’s been my pleasure talk to you today and well see you on a next blog. Another SOA Guiding Principle. SOA can be realized through a variety of technologies and standards. Just like you cannot buy SOA through a product or technology, or use an ESB and get SOA, you can have a SOA using many different technologies. SOA can be realized through a variety of products and standards, like ESBs from IBM, Mule or JBoss, or even technologies like Enterprise Application Integration middleware or even Spring Integration. You can balance it between two vendors, and all of them included in your SOA design and implementation. SOA is really technology neutral. One of my clients has Integration Bus, another has Mule, another has JBoss, one has all three with each performing a task that is well suited to that technology. You can use HTTP for transport, or JMS for transport, or MQ for transport or a mix. Service Oriented Solutions can therefore be built using just about any technologies and standards that are suitable for distributed computing. One of my clients uses Spring Integration for their SOA Implementation. The key is that they use a Standardized Service Contract and Canonical Schema design patterns to achieve their SOA without an ESB. The Spring Integration services were therefore reusable and composable. Another client used Message Broker and they did the same thing, they standardized on MQ Transport and SOAP messages with a canonical payload schema. The used Websphere Service Registry and Repository for the Official Endpoint pattern. Another used a combination of IBM Integration Bus ESB and JBoss Fuse and JBoss Data Virtualization with a JMS Transport. So to reiterate, you can use a variety of products, technologies and standards to implement your SOA Design. Service Oriented Architecture is often misunderstood. Why? Sometimes it is because it is a set of priorities and principles and not a tangible "Product" or "Technology" or "Standard". Sometimes, non-IT managers hear stories about how "SOA Failed" or " SOA is out of touch" or "SOA is passe". Ten years ago, all the Enterprise Application Integration vendors, were clamoring to re-brand their products as "SOA" because that was the current hot buzzword. These days new buzzwords like "MicroServices" and "DevOps" are being marketed as "SOA Done Right." 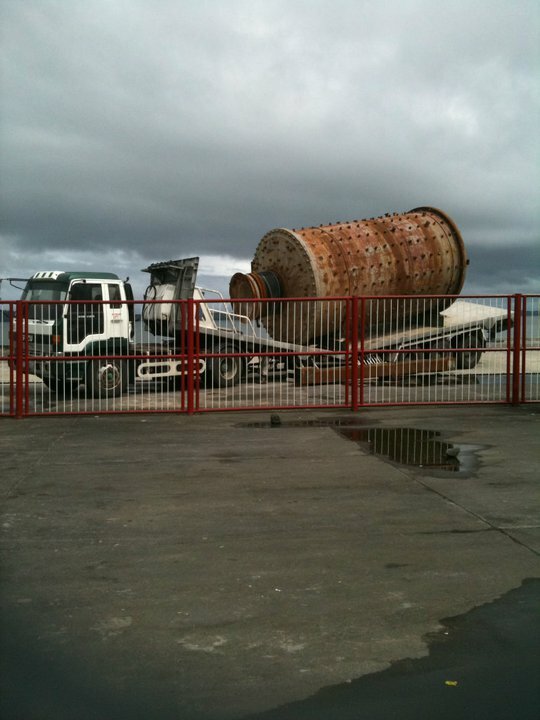 This was taken at a local Port where this rock crusher drum was unloaded from a Ship and placed on a Flat Bed Trailer. 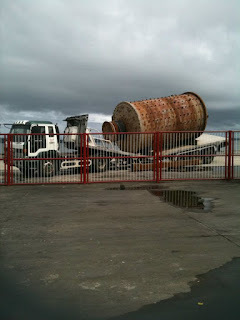 Now somebody should have known to check the weight of the cargo (the rock crusher) and compared that to the capacity of the trailer. This leads to damage, lost time, cost to repair and cost to replace. Thank goodness this didn't happen when traveling down the road where loss of life could have been the consequence. In Enterprise Architecture, Prior Planning Prevents Piss Poor Performance. The success or failure of SOA to meet the requirements of the enterprise requires Planning. Lack of Planning will lead to losses, lost time, cost to repair, cost to replace, all on the negative side of the ledger. Just like the flat bed trailer should have been judged on whether it can take the load of the cargo, any SOA implementation needs to be evaluated on whether it can take on the load of the enterprise. One enterprise that uses one COTS solution for ERP and most of the other solutions are home grown custom software, will need a different enterprise architecture than another enterprise that uses 80% COTS. The former may use a RESTful API for consumers and a back office data services layer using Message Oriented Middleware and Solution Composition Architecture and adapters to the COTS ERP solution. The other may need far more Enterprise Application Integration or API Management than the need to Compose new solutions from agnostic services. In both cases however SOA can play a role in how to get the most flexibility and reuse out of your IT assets. While the makeup and implementation details may be entirely different the approach of decomposing APIs into reusable agnostic services is the same and the ESSENCE OF SOA. I don't know if you are plugged into the On Deman Economy or not. I am and we at O4BO are and our subscribers are. For one the access to software you might need to run your business or grow your business is all available to our subscribers "On Demand" that includes some 325+ different applications that we supply to our subscribers "On Demand"
Many of you have experienced part of the "On Demand" economy, such as Uber, and I want to offer you a free ride on Uber just by clicking here. You can register your business and get web presence and take advantage of our web advertising, simply by going to www.explorer4palawan.com (or any of the explorer4 sites) and fill in the form for free. How much more "On Demand" could you want? My latest VLog, a tip on how to grow your small business. The KISS principle keep it simple stupid. let's look at one of the first ones of a blog from hub spot and it has 15 different examples. you can see this is a landing page it doesn't do much except ask you to take action and to sign up for their mailing list or sign up for a free version of the plan. it does give you the navigation abilities to drill down but pretty simple. un bounce. same kind of thing when you land you get a little blurb and then a pop-up that says 30 days to get more and this blog is full of of tips that will help you in simplifying and making your page better it also has pop-ups of itself you can see how they're doing it while you're looking at the 15 examples of how other people done. notice that most of them have an action sign up for mailing list sign-up for a free trial download something there is some call to action on each one of these. some have more options in their navigation capability but still relatively simple one of the advantages to having a simple landing page is that it loads faster people are pretty impatient when it comes to things like that. so if you can give them one thing to look at and then call to action you're more likely to get a hit. so you can see is a bunch of them on this link. so I first you must decide what is the most compelling reason someone would buy from you it could be quality could be features that could be price, could be value proposition it could be of references it could be anything so you have to decide what that most compelling reason is and make that the central theme for your landing page. Ang Halik prinsipyo panatilihin itong simple tanga. Tingnan natin ang isa sa mga unang iyan ng isang blog mula sa hub spot ipaalam at ito ay may 15 iba't-ibang mga halimbawa. maaari mong makita na ito ay isang landing page na ito ay hindi gawin magkano maliban hilingin sa inyo na gumawa ng pagkilos at upang mag-sign up para sa kanilang mga mailing list o mag-sign up para sa isang libreng bersyon ng plano. ito ay magbibigay sa iyo ng kakayahan nabigasyon upang mag-drill down ngunit medyo simple. un bounce. parehong uri ng bagay kapag ikaw lupa ka ng isang maliit na blurb at pagkatapos ay ang isang pop-up na nagsasabing 30 mga araw upang makakuha ng mas maraming at ang blog na ito ay puno ng mga tip na makakatulong sa iyo sa pagpapasimple at paggawa ng iyong mga pahina ng mas mahusay na ito din ay may mga pop-ups ng mismo makita mo kung paano sila ay ginagawa ito habang ikaw ay naghahanap sa 15 mga halimbawa ng kung paano ang ibang ginagawa ng mga tao. mapapansin na ang karamihan sa kanila ay may isang mag-sign up na aksyon para sa pag-sign-up sa mailing list para sa isang libreng pag-download ng isang bagay na pagsubok ay may ilang mga call to action sa bawat isa sa mga ito. ang ilan ay may higit pang mga pagpipilian sa kanilang kakayahan navigation pero medyo simple pa rin ang isa sa mga pakinabang sa pagkakaroon ng isang simpleng landing page ay na ito naglo-load nang mas mabilis sa mga tao ay medyo naiinip na pagdating sa mga bagay-bagay na tulad ng. kaya kung maaari mong bigyan sila ng isang bagay upang tumingin sa at pagkatapos ay tumawag sa aksyon kayo ay mas malamang na makakuha ng isang hit. upang maaari mong makita ang isang kumpol ng mga ito sa link na ito. kaya ako unang kailangan mong magpasya kung ano ang pinaka-uudyok na dahilan sa isang tao na bumili mula sa inyo ay maaaring ito ay ang kalidad ay maaaring tampok na maaaring maging presyo, ay maaaring halaga ng panukala na ito ay maaaring maging ng mga sanggunian ay maaaring ito ay ang anumang bagay kaya kailangan mong magpasya kung ano na ang karamihan uudyok na dahilan ay at gumawa na ang sentral na tema para sa iyong landing page. I just posted a Blog for the Philippine SOA COE that I thought my O4BO readers might enjoy. It will be included in the Udemy SOA Fundamentals course too. Many of you probably get a negative reaction to Network Marketing or Multi-level Marketing and tie those to "Pyramid Scheme." I can understand that sour taste, I have tried Amway and my wife has tried some of to others aimed at women. And they are not quick riches or easy money which many of the promoters describe their opportunity. That is wrong and gives people the wrong expectation. Network Marketing can however be a very effective way to grow YOUR small business. No matter what you are selling you might be able to take advantage of one of the Network Marketing platforms to grow your business at the same time you put more money in your pocket through the power of network Marketing. Here is a very popular video that talks about Network Marketing that applies to any Network Marketing platform, from Amway to Mary Kay or Explorer4. So no matter what your business does, these techniques can help you grow. Not quick money or get rich with no effort, but real practical techniques to help you. It won't be long before Al Gore has a new movie, "Ice Age Strategies". Transcript - this might be the best ways to grow your small business is to give away free stuff! That doesn't sound logical but it's a time-honored procedure its it works! It gets the word out. It gets people aware of you. Most people love free stuff. If you get something to people they will use, it will be better. For example T-shirts are good because people will wear them and when they do you get free advertising. I will talk a little bit about how to do it but the basic idea is to give away free stuff. Anything of value was okay but don't get carried away. You don't want to lose a lot, you want to consider the cost of the stuff you're giving away as your form of advertising budget. So how do you do it? First to use graphics not just text. You want something you recognize. I started giving away T-shirts. You want an image and you want that image to be something that people will look at and then you always want to include your company name or your link to your company if you have a website because you want the advertising to be effective is not just a matter of looking at the T-shirt are looking at the graphics on the teacher you want them to get a message. You want to use a logo but until the Brad's is established you don't you just use the logo. For example: if I wear a Pepsi T-shirt then people say "ah Pepsi" but if you where a young "Joe's bar and Grill"
If people that don't already know "Joe's bar and Grill" they won't recognize it. At Explore4 we give away a free listing with the logo. It's the same concept, give something away free so people will see it. You start with whomever you know, friends, business partners, prospects, current customers and anyone asked. For you want to use it as an incentive to get someone to read something or make an action item. Then keep track of who you send it to don't just give away T-shirt and then never follow up. Transcript- So it’s is your choice really, you either evolve and I am talking about your personal life or your family life or your business, or you die. Evolution is part of nature. Some will dispute this, but most species, people will agree, the species either revolves or it dies. Here’s one that didn’t make it (Dinosaur) is your business the same way? I believe it is. I think that there is ample proof that if your business isn’t growing then it is stagnant or if it’s just barely growing then eventually other businesses around you will love will start, they’ll grow will take customers away from you. If you’re not growing faster than that and you’re going to eventually die. So is success a straight path? You know why it is easy, “I’ll just make it and I got a great product and great location, nothing is going to stop me”, well if that’s true congratulations! I think that most people’s path to success has some bumps in it. I think there’s going to be some decisions you have to make then which way you go, one ways to success the other way is not. And some of you are probably on circle road that goes around and around and around and so therefore you’re never going to reach success and like I said earlier if you don’t evolve your going to die. So is the curved road the path to success? If you are like most companies you reach curves in the road, you have to zigzag to go up the hill. You have to find your way so there’s options. You choose door number one or door number two. There are choices everywhere just liking the matrix movie. Yes this place was is just how you pick the right one. The thing to do is to take each one of those choices and use it as an opportunity to come up with an idea, something you can use to make your company grow. Is at a website? Go online or to stay off-line in and just depend on signs and flyers and not maybe print advertising or is it business networking? With business networking what you do is you connect with the businesses around you. Some of you already buy from someone, already buy from you and is sure that they understand what it is that you do what your products are, what your values are, what benefits of your service is and so forth. So that in the business networking if somebody says to them why you know I need a “class A widget” and if they know you sell “class A widgets” guess what? Is a discover and talk to “Holly” he’s got the best “class A widgets you can find” them they’ll come to you same way around if you know where to find a “class B widgets” and somebody asked you about “where I find widgets” using it only sell “class A widgets” but this store over here sells “class B widgets” and if you can’t afford a “class A widget” going to see him and get a “class B widget” Even your competitors will start to work with you, to refer customers to you and it’s just a matter of doing the business networking! So we can help. The Explorer4 websites give you a free listing with a logo so that people can find you. We do networking events where we have a seminar where we teach about business networking. We teach about web advertising. We teach a lot of different things and if you want us to do it for you we can do it for you for very little. We are talking about a full website with email and accounting software and customer management software for less than a part-time employee! So, one of the sites we have one for each of the regions there’s more than then just here but if you go to any one of them you’ll find the others. A new marketing tool that works! It seems like a daily occurrence that I see some new social media tool, or service, or consultant that has the solution to you social marketing woes. Only problem is that many of them don't work, and you only figure it out after a lot of time and money goes down the drain. I am writing today because I have found one that DOES WORK and is easy to use and is cheap, especially when compared to some of the tools I have tried that DO NOT WORK. Here is my test. I created 4 "Snips" and posted to Facebook, Twitter, Pinterest and Buffer that hit LinkedIn as well. 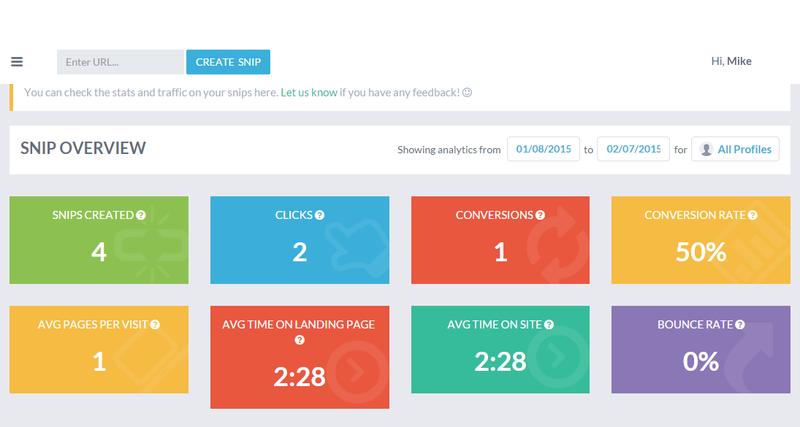 50% had clicks and 1 led to a conversion, no other tool or test I ever tried did as well. Click here to see the sample test I posted. You want 50% of your posts to generate clicks, or 50% of your clicks getting a conversion, then go to Snip.ly and sign up.